I’ve been dabbling with the idea of a guest blog for a while now. Well, today is the day! I am generally a bit paranoid with the concept of sharing my idea space with another human. By taking my time, however, to wait for the right human and the right content, I couldn’t be more comfortable with the arrangement. Both the person and the topic are a perfect match! Emily Hardin is a Product Manager at FoodLogiQ and her blog was originally written and featured by Pendo. Both FoodLogic and Pendo are Triangle StartUp powerhouses creating many tech jobs in and outside the Raleigh-Durham area. The fact that such influential companies are focused on connecting parenting to technology warms my heart! 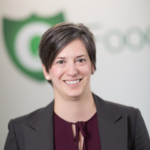 Emily is an Agile Certified Practitioner (PMI-ACP), Professional Scrum Master (PSM I) and a Product Manager for a food safety product that is quite literally saving lives. She cut her teeth in Product Management while living abroad in Hong Kong. Emily is no doubt accomplished! I can attest to the fact that she is also a beautiful human. I am honored to have her words grace this blog. I hope you enjoy Think Like a Parent and Excel at Product Management by Emily Hardin. I’m not going to lie. It is not easy being a product manager and a parent of two young children. Working at a rapidly growing technology company like FoodLogiQ sometimes means long weeks and wearing many different hats. There are similarities between my job and parenting. I am passionate about my job, I love being a parent and both keep me energized through the tough times. I wholeheartedly believe being a parent makes me better at my job and my professional life makes me a better parent. Here are four ways parenting makes you better at product management. Let’s face it: kids ask a lot of questions! Giving my kids the opportunity to ask questions gives me valuable insights into how their minds work. I practice active listening, which helps me understand how to best empathize with them and help or encourage them. Product management is surprisingly similar. I try not to jump to conclusions, but instead I focus on understanding the customer’s problems. Restating what I hear ensures that I understand the true challenge customers are facing — minus the ‘mom’ tone. Tip: Channel your inner kid and ask away! The more questions you ask, the better your chances are of truly understanding an issue from all angles. In product management, you must balance the needs of stakeholders, engineering, and customers. Don’t be afraid of silence; sometimes the best insights come after letting someone sit and think. As parents, we try to always be prepared. Bored kids losing their patience waiting in line? I have games in my purse. Unexpected rain storm? I have a change of clothes in the car. Kids’ needs constantly change and evolve as they grow. As parents, it is our job to understand a child’s changing needs, strengths, weaknesses and characteristics to help them successfully transition into adulthood. Similarly, I try to continually build tools to help me be efficient as a product manager. The tools I use are constantly refined and improved. Need a last-minute demo? No problem! Plan A didn’t work? Try Plan B, C or D. Develop a method to efficiently capture customer insights and to gather their ideas. I use my commute to and from work to listen to podcasts and to review best practices. Just as a child’s needs are constantly changing, so are my customers. As a product manager, I understand what it takes to make them successful. There are many ways to solve a problem. At home, I was struggling to keep up with everyone’s calendars and activities. I knew I needed a solution to empower my family members to help. After much research and experimentation, I built a family calendar station using a Raspberry Pi. (Note: I do not have a technical background, but as a Product Manager I’m unafraid to break new ground.) Now, everyone in my family can easily see the weather, dinner menu, and be accountable for their own weekly schedule. Clearly, some of the skills I acquired through work transfer to my home life as well. Tip: Don’t ever let an absence of knowledge stop you from trying. In product management, you are asked to wear many hats. Be creative, ask others for tips and tricks, and never be afraid to experiment. Take the time to understand the changing environment; what was the solution last month may not be the solution today! There are many recent articles about the mental load on working mothers. We all make countless decisions every day, but as a parent, you become unbelievable executors and mediators. Since we can’t be everywhere and do everything, we have to make the most of our time. As product managers, we are constantly evaluating and resetting priorities, as there is no such thing as a “typical day at the office.” We must execute intentionally and efficiently — so there is time to be visionary. And, perhaps more importantly, learning to collaborate and compromise is vital to meeting tight deadlines. Tip: Start each day by making a list of critical to-dos and reviewing longer-term action items. This will help you stay focused on the short term without losing sight of the longer-term vision. Make sure you also block time away from the tactical day-to-day items to focus on the longer-term vision. In our family, we talk often about prioritizing businesses or missions that we believe in. We work each day to show our children the variety of ways you can make an impact through our time, our efforts, and our resources. I feel fortunate to be in a professional position to effect change in the food industry — making food safer for everyone, including my family. Seeing this positive impact makes the late nights and long weekends worth it to see the benefits to my family and others through my work. Tip: Find something you believe in and chase after it. In product management, decisions you make every day impact the success of your business and customers. Don’t be afraid to take on a role that is challenging and new. Don’t shy away from something that is difficult at times if you know you can make a positive impact. Emily Hardin is a Product Manager at FoodLogiQ. She is a mother, chauffeur, and referee for two wonderful girls. She is passionate about solving problems, saving time, and making an impact. Thank you to Pendo and FoodLogiQ for sharing Emily’s wisdom! You are Techy founder, relentless advocate for humans, UX, Bringing Women to Tech, techy, extreme learning, mom, in God I trust. UXSimplified owner.